At Applied Plastics Machining, we've been providing outstanding customer service and producing quality parts for over 40 years. Our entire team remains incredibly passionate about manufacturing products that people and companies need. We take enormous pride in the fact that our business makes it possible for other companies and projects to be successful. Quality. Precision. Integrity. That's the Applied Plastics Machining difference! The team at Applied Plastics Machining embraces the use of a wide variety of recycled materials, from our boxes and packaging to extruding our own recycled material from reprocessed UHMW. We send all of our acrylic scrap out for recycling, and have created a near zero-waste work environment. To reduce energy consumption, our shop uses an evaporated cooler for air conditioning, and we have motion activated lights on our factory floor. 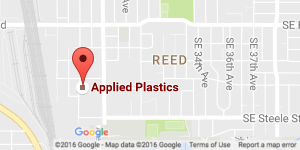 At Applied Plastics Machining, we use only the latest, most durable materials to meet our customers' needs. If you're looking for plastic fabrication in Portland and beyond, our team handles sheets, rods, and tubes in a variety of sizes. 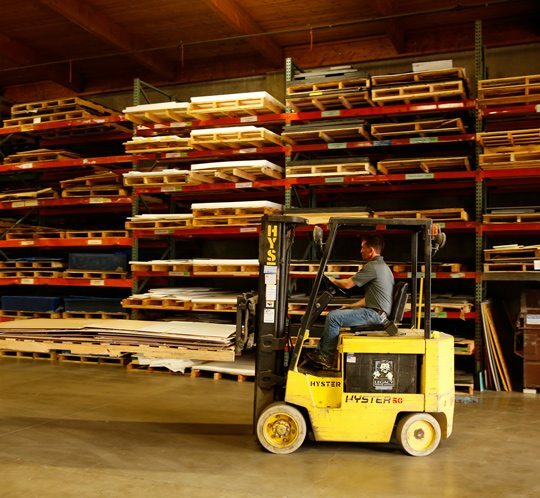 If you require additional assistance in selecting the right materials to match your needs, our team of experts is here to answer any questions that may help better identify the best material for your application.